The Solidoodle 4 is a fairly good 3-D printer for the price, and users who don’t mind a lack of features and support will appreciate the large printing area and excellent software. The Solidoodle 4 is an improvement over its predecessors, but it still has some issues that make printing a little problematic until you understand how to work around them. It supports both ABS and PLA filament, although the company says it’s only really designed for printing with ABS plastic. The difference between the two types of filament is that ABS is a petroleum-based plastic that doesn’t degrade over time, and PLA is a softer material made from a starchy substance. Since the Solidoodle 4 is designed for ABS plastic, it has a heated printing platform, and the open-source software that comes with it has settings for controlling the temperature of the platform. Printing files come in the standard STL format, so any 3D printer files will work, and you can create your own files with 3-D programs like Blender. Unlike the previous models, the Solidoodle 4 has an enclosed printing area, which helps contain the burning plastic smell from melting the ABS filament. Setting up the printer is easier than with the earlier models because loading the filament spool doesn’t require any tools, and there is a built-in knob for adjusting the printing platform height. On the older models, you had to adjust the platform height by turning a screw with a screwdriver. Still, on the new model, the filament has a tendency to slide off the spool, which can cause print jobs to fail. A good way to get around this problem is to wrap some tape around the spool to prevent the roll of filament from sliding. 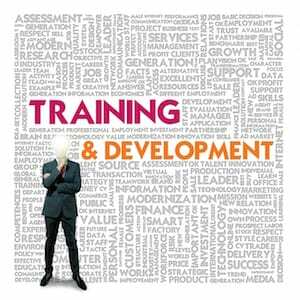 Another problem that can cause print jobs to fail is that the printer must be connected to a computer during the entire process, so if your computer goes to sleep, the build will not completely correctly. The solution is to disable sleeping on your computer. This problem occurs with any 3D printer that prints via USB rather than from an SD card. The Solidoodle 4 doesn’t have an SD card, but it does support some very good software, and it works with Windows, Mac and Linux. All you have to do to set up the printer is plug it into your computer and wait for the drivers to be installed automatically. You can download the Repetier Host printing software for free from Solidoodle’s website. Because the Solidoodle 4 only has one extrusion head, you can only print one-color objects with it. The heated platform is nice because it prevents the ABS plastic from curling up as it’s printed. The Solidoodle 4 has an 8-cubic-inch print volume, which is a little larger than most other $1,000 printers, and its steel-cage construction makes it extremely sturdy. Cosmetically, the printer looks nice, and it would go nicely sitting beside other equipment in an office. Print quality is mostly very good but somewhat inconsistent. There are two resolution settings, and depending on the object you’re printing, a full-size object at the highest-resolution setting can take 10 hours or longer to finish printing. Perhaps it happens randomly, but some print jobs tend to have horizontal banding and uneven details. Objects with heavy top halves seem not to print as well as objects with most of their weight distributed over the bottom. The Solidoodle 4 doesn’t come with a warranty, and the website doesn’t offer much in the way of support. The printer comes pre-assembled, so anyone with experience using a 3D printer should have no trouble getting it up and running. Just be forewarned that if the printer breaks two or three months after you buy it, you have to either fix it yourself or buy a new one. 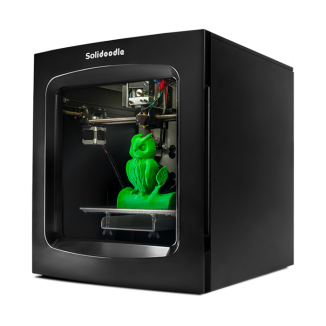 For the price, the Solidoodle 4 produces results about equal to other single-head 3D printers. This is a very good 3d printer but it does require a fair amount of calibration before you can start using. Also, mine came with the gear that controls up and down movement that was not tighten, you wouldn’t expect this type of problems from a $1000 piece of equipment. Once you get the printer setup, it’s a real joy to use. It’s a great machine but you need to be technically inclined to use it. Very smooth and quiet printer. This is a good choice for you if you’re serious about 3d printing and don’t want to spend $3000. I ordered this 3d printer and never hear back from Solidoodle. after four months they claimed that they shipped my order which never get it over eight months. after putting a dispute case against them they kept pushing back and claiming they have shipped my order with no proof of delivery at all. at the end i won the case and i wanted to put my comment here so no one else go through this experience again.